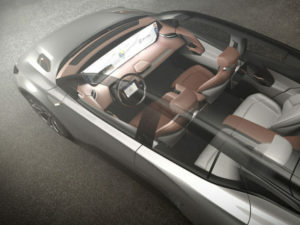 Byton announced a partnership with Aurora in order to help the fledgling electric vehicle marker incorporate level 4 (L4) autonomous-driving vehicle capabilities. Over the next two years, Byton and Aurora plan to jointly conduct pilot deployment of Aurora’s level 4 autonomous driving systems. Additionally, Byton and Aurora will explore the use of Aurora’s self-driving system in Byton’s series production vehicles. Byton revealed its first concept vehicles, which is scheduled for production and sales to being in China in 2019, earlier this month at CES 2018 in Las Vegas. Sales are set to begin in China in 2019, and sales in the United States and Europe to start in 2020.